As a substitute for weights if you are traveling, these bands definitely do the trick. You can do some pretty intense exercises. 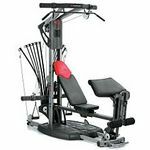 They seem pretty strong as well, so you do not have worry about them breaking as long as they are used properly. Performance For a workout where you cannot find weights, these bands can deliver results. Ease of Use They are very easy to use. Durability They seem quite strong and are not likely to break. Design They are very lightweight. You can take with you literally anywhere. I love the exercise bands! I feel they work a lot better than weights really (in my opinion) and you can use the bands for a lot more then with weights and the bands to me are easier to work with and, of course a lot easier to store! If you are doing any at home exercise i recommend the bands then actual weights! I feel they work better and faster. I also feel as though they work well with any kind of exercise. From just pilates to yoga or to P90X to anything. I know in P90X it shows you how to use bands instead of weights so i love that. With any exercise i learned from P90X that you can just add in the bands to every exercise that needs weights or not to add more resistance and to help your body tone up and get strength faster. 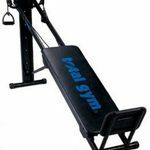 I also recommend the resistance exercise bands because they are a lot cheaper then weights. Oh and by the way i have never had any trouble with the bands breaking on me so i find they last a while if taken care of just like weights. worth the money saving and extra work out additive. 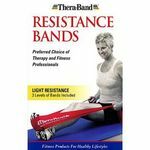 The Thera-Band Latex Exercise Band Pack is a great and inexpensive way to exercise your entire body. I actually have three sets. I keep one in my overnight bag, one at my office and one in my car. That gives me the flexibility to do a few exercises when the opportunity presents itself - like 10 mintues at lunch, in an airport or wherever. You want to start with the least resistant and thinnest band and work your way up to the most resistant and thicker band. Every physical therapist I have ever been under the care of uses similar bands of different strengths to stretch and strengthen various parts of the body. You literally can tone and rehabilitate every part of your body with these bands. 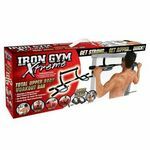 The three band kit comes with instructions on a variety of exercises for all parts of your body. One warning: If you are having a painful problem in a specific area you should get a professional opinion as to which exercises will improve your problem and not cause further injury. The Thera-Band Latex Exercise Band Pack is a great value and a great way to excercise anywhere. I keep some in my desk drawer at work and take them out when I need to destress for a few minutes, I pack a few in my suitcase when I travel so there can be no excuse for me not excercising, and I always keep a few near the television set that way I can work out while still having down time. These bands are so vertile there are really hundreds of ways to use them, stretching them with both arms, an arm and a foot, tied to a door knob (on a closed door, of course! ), and many other options. 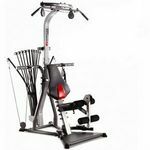 They are great for working on almost every part of your body and can provide a cheap, easy solution to fitness.